Business Process Outsourcing is the planned use of external resources to carry out activities conventionally handled by internal staff and resources, none of which are center to the operation of the company. It is a strategy by which an organization contracts routine functions to service providers who specialize in such functions. Thus the service provider is not only responsible for the execution of a business process but also for improving it. Companies are using BPO to reach a broad range of goals. BPO was once viewed mainly as a way of reducing operating expense. Today, enterprises are leveraging BPO services to attain production gains, cut down innovation cycles, improve customer relationship and enter new markets. At DCI, technology solutions are provided by expert executives and consultants. 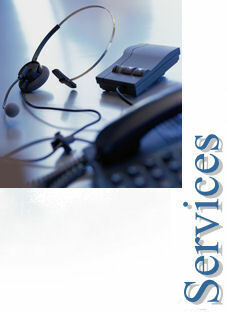 Additionally, DCI also provides the finest, quality human resources for technology led services. This enables DCI to deliver tailored and efficient solutions with flexibility to provide to the changing market and business requirements. Over the years DCI has taken the role of empowering organizations through its application services, which include development and reengineering of application software. We provide expert executives and consultants which enables us to deliver tailored and efficient solutions with flexibility to provide to the changing market and business requirements. DCI provides services in Project Management & Planning, RF & MW surveys, Network implementation and Telecom Training. DCI focuses on Mobile & wireless applications, Mobile Network Management and the emerging convergence areas. We are in partnership with companies, who have setup various government owned and private telecom networks in India.